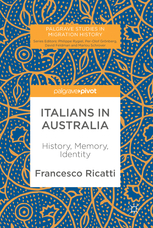 Francesco Ricatti, Cassamarca Senior Lecturer in Italian Studies, has recently published his second monograph in English: Italians in Australia: History, Memory, Identity. The book provides a concise and innovative history of Italian migration to Australia over the past 150 years. It focuses on crucial aspects of the migratory experience, including work and socio-economic mobility, disorientation and reorientation, gender and sexual identities, racism, sexism, family life, aged care, language, religion, politics, and ethnic media. The history of Italians in Australia is re-framed through key theoretical concepts, including transculturation, transnationalism, decoloniality, and intersectionality. This book challenges common assumptions about the Italian-Australian community, including the idea that migrants are ‘stuck’ in the past, and the tendency to assess migrants’ worth according to their socio-economic success and their alleged contribution to the nation. It focuses instead on the complex, intense, inventive, dynamic, and resilient strategies developed by migrants within complex transcultural and transnational contexts. In doing so, this book provides a new way of rethinking and remembering the history of Italians in Australia. “It was a challenging book to write, as it relates to the lives, histories and identities of more than one million people in Australia who are either Italian or of Italian descent. 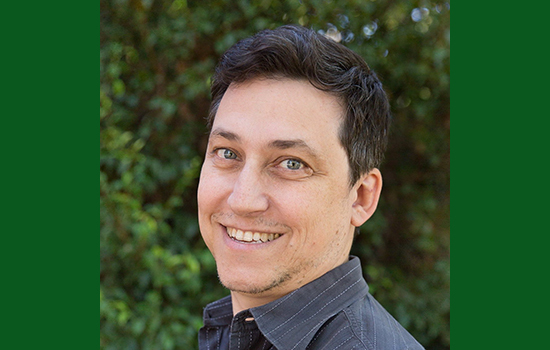 I felt a responsibility to write a book that aims to become an important point of reference for the broader community – not just for academics.” explained Francesco. I’m proud that it has been published by a prestigious academic publisher like Palgrave, and I hope it will become a fundamental point of reference for all scholars, students and community members who are interested in Italian migration to Australia. Francesco teaches Italian Studies at Monash University. He has published widely on migration history, political history, and football studies, focusing on popular memory, emotions, racism, and gendered identities.